Peter Lampert is struggling to find undervalued, attractive companies. Peter Lampert, Calgary-based co-manager of the $6.8-billion Mawer International Equity, has a three-point wish list when seeking companies for the fund he oversees along with fellow portfolio manager David Ragan. He requires high-quality businesses, a top-notch management team and a stock price that's less than the company's fair value. But after several years of rising stock prices around the world -- with financial markets heavily stimulated by low interest rates to help them recover from the damaging financial crisis of 2008 -- Lampert is finding the shelves quite bare of undervalued, attractive companies. "High valuations are a significant theme after strong performance across almost all markets," he says. "It's a global phenomenon and a global challenge. It's harder to find companies trading at a discount." Lampert says if any negative event should occur that threatens corporate profits, it will be more of a concern with valuations high and stocks therefore vulnerable to a fall. "Rising interest rates, trade wars and protectionism could be the catalysts that trigger a drop in value," he says. The Morningstar 5-star rated Mawer International Equity has proved itself a capable navigator of global markets and has achieved top-decile returns in the International Equity category over trailing periods of three, five and 10 years ended June 30. Lampert has recently been scaling back the fund's exposure in volatile emerging markets, after finding those regions plump with bargains a couple of years ago. "Prices have risen and emerging markets are not as attractive as they were," he says. "If we do get an economic downturn, they tend to be the first places to get hit. When investors are reaching for high risk and high return, capital flows to emerging markets. But if sentiment changes, and with bond yields going higher in the U.S., capital can flow back." He says the timing of any significant global stock market correction is unpredictable, and he remains fully invested, as he's unwilling to suffer the risk of being out of the market and missing gains. But he's focusing on companies that will create wealth and flourish over the long-term, and he must search tenaciously to find them. "We want resilient businesses with good management teams that will do well regardless of what happens in the economy," Lampert says. Due to its international mandate, the fund is focused on opportunities outside North America. Its biggest geographic weighting is currently in the United Kingdom at about 21%, with other significant exposures in China, Japan and Europe. Lampert says geographic and business sector weightings aren't based on top-down decisions but are a function of where opportunities lie. For example, in the UK, the fund has a significant holding in Croda International, a company that makes specialty chemicals that are key ingredients in a range of diverse products including health and beauty aids, engine lubricants and plastics. Croda makes a component for many brands of anti-wrinkle creams, a product gaining traction with consumers. Croda focuses on niches where it can add value for customers, not on commoditized products where profit is based on scale, Lampert says. It supplies big companies as well as small regional competitors, and makes a wide variety of ingredients for everything from sunscreen to industrial and agricultural products. By sector, Mawer International Equity's largest weighting is industrials, accounting for nearly 22% of fund assets as of the end of June. The top holding in that sector, and also the biggest in the fund overall, is another UK stock: Intertek Group. Intertek provides independent testing and certification for a variety of products involved in global trade, such as children's toys or electrical appliances. "Intertek is a trusted, independent third party with a strong reputation and long track record," Lampert says. "It has labs around the world and a global customer base, and it would be difficult for a new entrant to compete." The fund's second-largest sector weighting is financial services, at just over 21% of assets. Instead of giant insurance companies or banks, Lampert looks for more specialized opportunities. The fund holds a couple of stock exchanges, including the Japan Exchange Group and Germany's Deutsche Borse Group. "These stock exchanges benefit from the network effect, they bring together buyers and sellers and it's a good business," Lampert says, though he recently sold a holding in Brazil's B3 exchange when the stock became too expensive for his liking. He also likes some regional banks in Asia including HDFC Bank, one of India's largest private-sector banks, and Singapore-based DBS Group Holdings. Both, Lampert says, are aggressively pursuing digital customer service strategies -- an important factor in an era where aggressive, technology-savvy disruptors are breathing down the necks of established banks. He is wary of any banks that are highly leveraged, exposed to risky loans, or operating in heavily regulated markets such as Europe where it's becoming tougher to do business. "Online banking is a trend that we're watching, depending on which country a bank is operating in and the regulations," Lampert says. 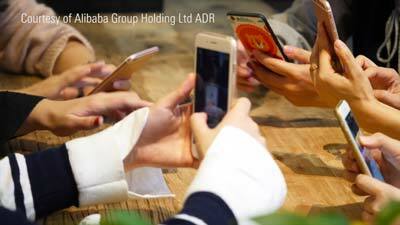 He says Chinese multi-pronged internet business conglomerates like Tencent Holdings (TCEHY) and Alibaba Group Holding (BABA) are also pushing into banking services by developing online payments systems using smart phones and are among the new wave of competitors in the field. Many customers have "leapfrogged" from using cash for purchases to paying for goods via apps on their phones, Lampert says, and have bypassed credit cards altogether. Tencent, a Shenzhen-based investment holding company that includes internet services and products, social networking, entertainment and artificial intelligence, is a holding in the fund. Another key holding that is in the fund's top-10 is Tsuruha Holdings, a Japan-based drugstore chain that is buying up smaller operations in a fragmented industry and adding high-margin products like cosmetics -- a similar consolidation strategy to Shoppers Drug Mart in Canada.